This product is a general purpose AC electronic sounder beacon for industrial applications. With a choice of 32 tones including all of the major international standards, the Sonos sounder beacon has universal acceptance. 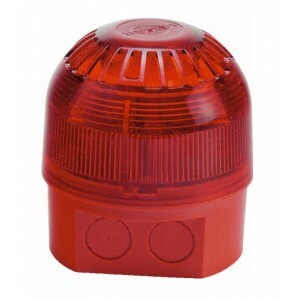 The full faced translucent beacon case provides a greater spread of light when compared with standard and competitor beacon products. Sonos AC sounder beacons are weather-proof to IP65 and can be used in all locations both indoors and outdoors.